Properties in Sullivan County average 4.7 out of 5 stars. Property 3: Relaxing Lakefront, Quiet, Private, Very Clean. Great for Groups and Families. Property 5: Catskills NY/Casino, Bowling, Car/Horse race tracks, nature trails are the best! Property 8: Family Friendly Cozy Cottage by Small River in the Heart of the Catskills . Property 11: 2BR Callicoon House on Delaware River! Property 12: Beautiful Cabin On 5 Acres. 2.5 Miles From Bethel Woods and Villa Roma. Property 13: Roscoe, NY. Your Home Away From Home.Two hours and 10 minutes from NY City. Property 14: Contemporary Lake House Getaway - 5 Acres - Lake Front / Pool / Activities! 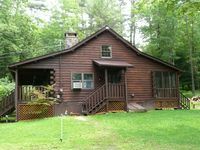 Property 24: Log cabin on 1 wooded acre with trout stream. Riverfront Ski & Fishing retreat, steps from the slopes! 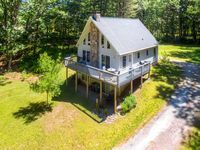 Property 26: Riverfront Ski & Fishing retreat, steps from the slopes! Property 30: Catskill Bungalow with pool , outdoor fireplace. Property 43: Luxury Livingston Manor Home w/Guest House & Pool! Property 44: Enjoy the WINTER by the fireside or walk in the woods, ice fish, skate; or ski.